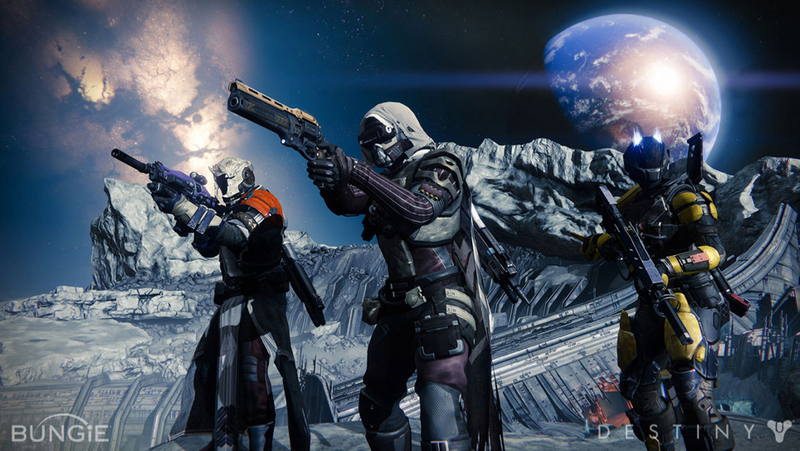 Destiny is a science-fiction first-person shooter video game with beautiful, awe-inspiring graphics. It’s a fantastic look at a post-apocalyptic universe that will have you amazed at how much visual detail was put in to this world. Unfortunately there really isn’t much story or interaction in the game to keep up with all the dazzling vistas which might tire you out in the long run due to the repetitive nature of the missions involved. You play a guardian (choosing from three classes: Hunters, Warlocks and Titans) tasked with stopping alien threats on different worlds. 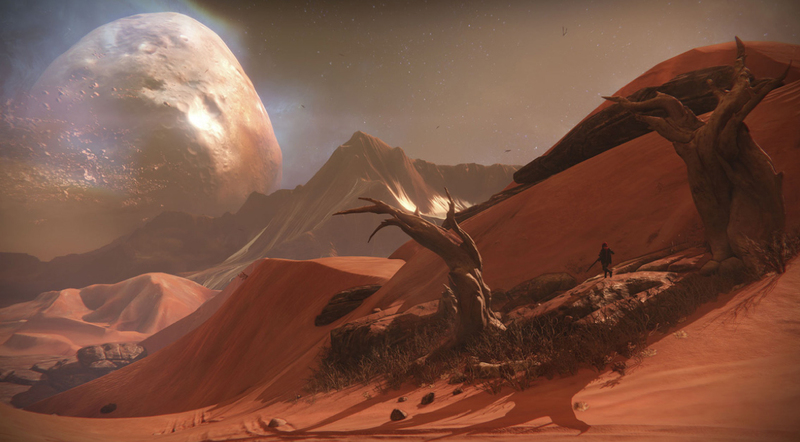 Destiny is one of the best looking games that I’ve ever played; if you bought a Playstation 4 you’ll get your money’s worth at how the game maximizes the full potential of the PS4 when it comes to the graphics. In fact, one of my favorite elements of the game is customizing the look of your character, whether it’s the helmet, uniform, guns, boots, etc., it’s highly addictive (there’s a great deal of cool looks to be had) and is one of the main reasons I kept playing the game. I got Destiny on Tuesday, and may have played about 15 total hours this week, and I’m a bit bored with it already. I haven’t beaten the game, I’m at level 11 (Level cap of 20), but I’m finding myself, at times, playing it less and less. Most of the missions come down to exploring an area of a world, encountering waves of enemies, analyzing something and fighting more enemies and/or boss at the end. It would have been great if Bungie, the developers of the game, changed it up a bit or added another aspect of interaction to these wonderfully rendered worlds. There’s really not a whole lot of context or story behind the game, although your Ghost, a small floating robot that accompanies you, does give some information on what’s happening and what you’re supposed to be doing in any given situation. I think there’s a lot of potential that’s wasted given the epic nature of the game which was described in Destiny’s prologue, and the open world setting. It’s still a fun shooter game, but I would say if you’re going to play it, I highly recommend playing with other people. It’s more fun to tackle missions with a three-man group or “fireteam” than it is doing it solo, and you may find yourself playing longer than you would otherwise if you were playing by yourself.